No other natural prostate supplement has sold more bottles in the last eight years than Super Beta Prostate (SBP). With over 8 million bottles sold and a TV commercial featuring former Redskins QB Joe Theismann, SBP has done an outstanding job educating men to the benefits of a natural prostate supplement and how much relief and help it can bring men. The formula and the marketing have gone through some changes over the last few years and both have been improvements. The company was sued for false advertising for having an actor pretend to be a doctor in their TV commercial, but the lawsuit forced them to end those highly fraudulent TV ads. Their formula has been improved as well and is now one of the Top 10 on the market as the laboratory tests confirm. This product finished among the Top 10 supplements that we tested scoring a very impressive 423mg of sterols per serving. (see lab report below) The formula is still not in the upper echelon with ProstaGenix and the others, but it is certainly significantly better than 90% of the products on the market. 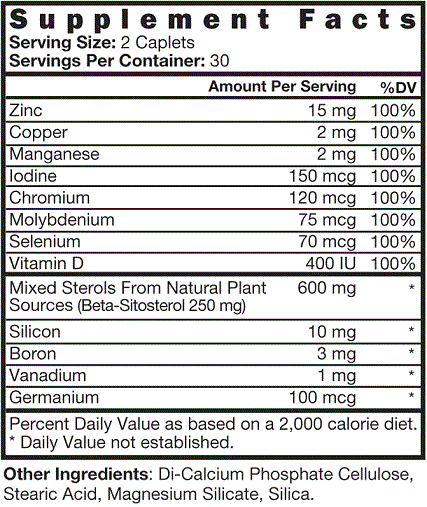 The SBP formula also contains Vitamin D, Calcium, Zinc, Selenium, Copper, Manganese, Chromium and Molybdenum. As you can see from this chart that out of over 150 products we tested and reviewed SBP finished in the Top 10. Many of our survey responders have complained about the companies billing practices. Specifically, when you call to get a “free bottle” of SBP from one of their TV or radio ads, you are required to pay a few dollars for shipping and handling of the “free bottle” and then you are agreeing to receive future shipments of SBP at the regular price. You will continue to receive a new bottle of SBP each month at the regular price of $49.95 plus shipping and handling until you call and cancel shipments. Other companies also use this marketing strategy of getting men to try their product with this free bottle gimmick. Prosvent is another well-know “free bottle” marketer. There is nothing wrong with offering a free bottle. It does provided men an opportunity to try the product and see if they like for just a nominal fee. If you do take them up on their free offer, just understand that there will be bottles coming again in the future at full price of $49.95 plus S+H. Some men love being on this “auto-shipment” program so they never run out of the product. Many companies offer this auto-shipment feature, just like the popular razor blade company Dollar Shave Club sends new razors each month to it’s members who have signed up.